Google AdWords is most effective tool for SEO (Search Engine Optimization). In layman terms, SEO is all about increasing visibility of your website in search results. More visibility means More traffic on website. In short, SEO is ladder to success in web space. On daily basis i receive atleast 30-40 mails with SEO proposal for my blog. In my opinion, the first and foremost critical factor in SEO is DIY (Do It Yourself). You cannot trust anyone with SEO activity of your website. Handing over SEO activity to 3rd party is like giving key of your locker to outsider. Outsourcing SEO is suicidal as it can make or break the destiny of your web journey. I receive many queries on how my Blog Posts appear on 1st page of search results. Let me clarify that there is no shortcut to success. SEO is most difficult and at the same time most easiest task to do. Difficult because it requires years of hard work without any Immediate results. Easiest because if you understand the trick of the trade than SEO is child’s play. This is my 1st post on SEO (Search Engine Optimization). I will share how i am using Google AdWords effectively for SEO activity of my blog. Google AdWords help me to identify right Focus Keyword for my Posts. Focus Keyword is Heart & Soul of your post i.e. what customer is looking/searching for. Before you write any post, after finalizing topic of the post you should finalize Focus Keyword. Focus Keyword is critical for SEO so as Google AdWords. The complete post revolves around Focus Keyword. The end objective of any writer is that when any user search for Focus Keyword on web, he or she should get writer’s post on 1st page of search results. Focus Keyword is intelligently inserted in the content of post, post title, URL of post and meta description for SEO. At the same time it is critical that post should appear on 1st page of search result as 80% people only click on search results appearing on 1st page of search. As a thumb rule, Focus Keyword should appear atleast once in Post Title & Post URL. It should appear once or twice in meta description. In the content of post, the Focus Keyword density should not be more than 5%. Big question is how to finalize Right Focus Keyword for the post using Google AdWords. Actually Google AdWords is a keyword planner tool to design ad campaigns. Google AdWords helps to find out what customers are looking/searching for. 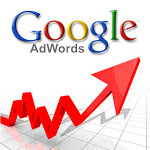 Google AdWords is used by advertisers for online advertisement on Google Search. It output the avg monthly search volume of a particular keyword i.e. how many times a user searched for particular keyword during search and what should be ideal bid amount for keyword. More searched keyword means High bid price. By using keyword planner of Google AdWords we can find out traffic volume of potential Focus Keywords for the Post. If you finalize any Focus keyword whose avg search volume during month is 100 than you can’t expect traffic of more than 5-10 from Google Search. At the same time, please note that if Google AdWords is showing high volume than it means stiff competition for particular focus keyword. If you keep Focus Keyword with very high volume than your post may take years to appear on 1st page of search results. Now the trick is to maintain fine balance between search volume for optimum result. Through Google AdWords you should identify Focus Keyword with Medium Competition. It will get you on 1st page of search results very fast. Once you start getting quality traffic, your post will start appearing at decent position for related keywords also. It is quite tricky job to finalize Focus Keyword but with little intelligence its quite easy with Google AdWords. 6. You will get the result corresponding to each Keyword through Google AdWords. You can select the Focus Keyword for your post from potential list of searched keywords through Google AdWords Keyword Planner. A good choice of Focus Keyword ensure that you will get decent traffic on your post. Thanks to Google AdWords for success of my blog. Hope you liked the post. You can share this post with your friends through following social media icons.